Shortly before Christmas Dom Breadmore invited Fellows to meet at Ludic Rooms, Coventry for an introductory workshop using a Teensy, officially defined as ‘a complete USB-based microcontroller development system’. In basic terms a Teensy is a board which can be programmed using Arduino software to generate a set of outputs when fed with inputs. 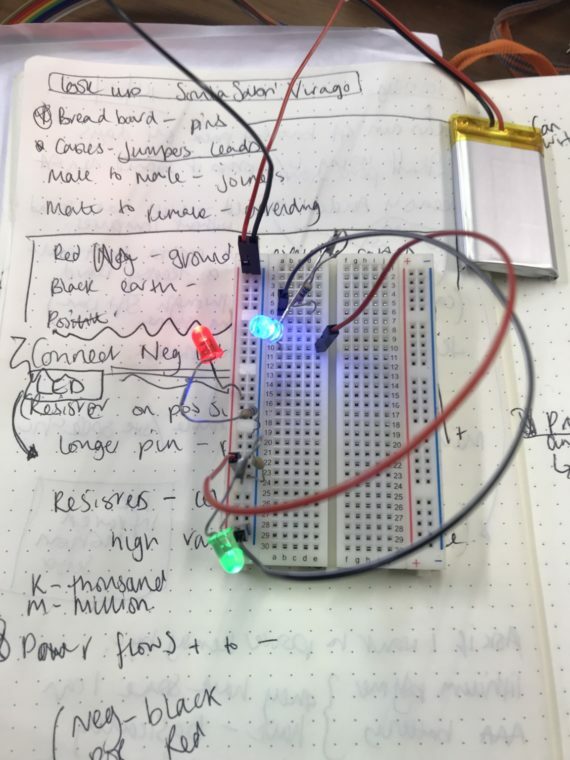 A simple example of this, (which was what we did in the workshop) is that it can be programmed to make an LED light flash in a specific rhythm when provided with a power source. This is just one small example as the potential possibilities are endless. Each of the Fellows received a bag of equipment to use with the Teensy. 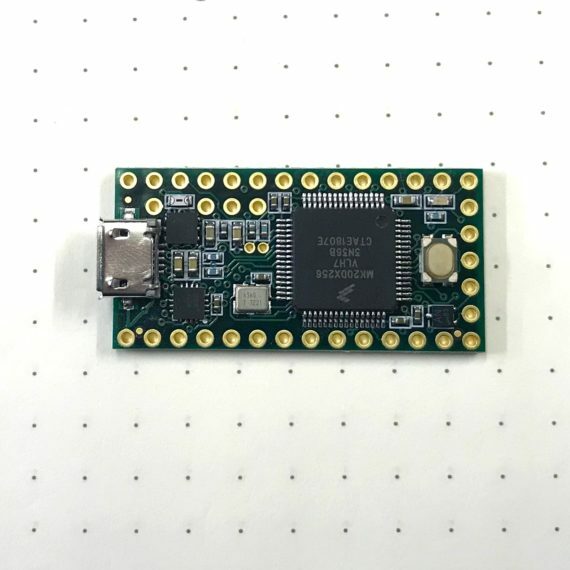 Wires, a breadboard which we use with the teensy without the need for soldering, LEDs as well as a Teensy Audio Shield which adds extra functionality to the Teensy allowing sound to be stored and playedwithout the ongoing need for a computer. It felt like Christmas had come early! I recognise that there is an initial nervousness about learning these new skills.I instantly feel intimidated by my lack of knowledge, but I recognise the need to accept this uncomfortable feeling as this is where I learn and grow. 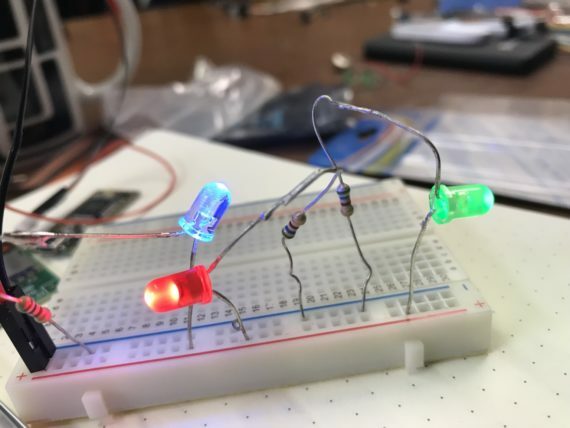 Also, there is a real sense of satisfaction when I am able to carry out a task that I have been taught – everybody was very excited when the rhythm of the blinking LED matched the code we had typed into the Arduino program! I had previously considered tech to be far away from human experience, and so I was very surprised with the physicality of making / building a circuit. Whilst it seems like a simple thing to do – it is dependant on motor skills. There was a strong sense of making in the process – like craft based work. The making was a very tactile experience – again my perceptions of tech are being challenged, even on the very basic level of building circuits.